The North Korean Kwangmyŏngsŏng 3 series were reportedly Earth observation satellite and the country's third attempt to orbit a satellite and the county's first orbital satellite. The satellites reportedly had a launch mass of about 100 kg and a life time of 2 years. The dimensions are 1.4 m × 0.6 m × 0.7 m. Power is provided by body mounted solar cells and two deployable solar arrays. The announced orbit is a sun synchronous orbit at an altitude of 500 kilometers. It is claimed to have 3-axis control to point a camera to earth. The satellite will broadcast its remote sensing data in the UHF band and video in the X-band. 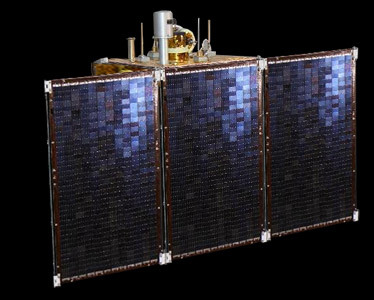 Kwangmyŏngsŏng 3 was launched on 12 April 2012 on an Unha-3 rocket from the Sŏhae Satellite Center in Ch’ŏlsan County, North P’yŏngan Province. Due to an failure late in the burn of the first stage, the satellite did not reach orbit. A second flight model of the satellite, Kwangmyŏngsŏng 3-2, was successfully launched in December 2012, but it has been tumbling since its launch and no transmission signals have ever been detected coming from the satellite despite North Korean claims to the contrary.